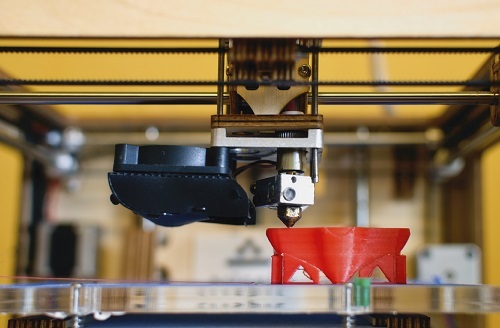 As if 3D printing wasn’t impressive enough, researchers have now gone one step further in creating heat-resistant 3D ceramics that have the potential to be used as building components in spacecrafts and other aerospace constructions. Researchers in the HRL Laboratories of Malibu, California, have created a milestone material out of resin, which can withstand temperatures of up to 1700 degrees as well as being ten times as strong as similar compounds. Ceramic wouldn’t usually be a desired material due its porosity and limitations on both strength and flexibility caused by the consolidation of powders by sintering. This application of heat is responsible for cracks and fractures in traditionally formed ceramic structures, but these flaws are eliminated with the introduction of the resin component. During the process of Stereolithography (SLA), liquid polymers are built up layer by layer with a laser and the final product is then fired to cure it into the new and improved ceramic material which has a number of resiliencies. The ceramic material is printed into complex and lightweight lattice structures which makes it perfect for use in air and spacecraft construction. Alternatively, the material can be printed to make more intricate components for jet engines, and other mechanical systems as well as having uses in electronic device packaging. A lot of the work done at HRL laboratories is centred around creating materials for spacecrafts. For example, last year researchers were working on reducing the mass of spacecrafts by 40 per cent to enable future launches to explore as far as Mars. It’s fascinating to see such breakthroughs in engineering with such innovative technology which is continuing to make leaps and bounds. At European Springs, part of our craft is creating components to improve the functionality of larger structures and working with other companies to deliver the best in manufacturing. Our design team also produce pressings and stampings to aid in the development of our client’s products. For any enquiries into our services, don’t hesitate to contact us at 0208 663 1800 or visit our Facebook and Twitter pages for further information.